Hovik has been communicating with spirits since the age of twelve when they made their presence known to him, literally conversing with him about his magical path and pushing him forward. 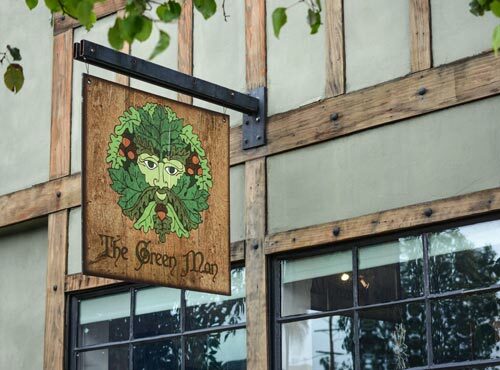 He’s been practicing magic in the traditional sense for sixteen years, last six of them as an active pillar of the Green Man Store. At the Green Man Hovik dresses magical candles, put together mojo bags, makes spell kits, teaches classes, and writes a regularly published magical blog. He also offers his clients psychic clairvoyant readings and mediumship. He’s highly skilled in using tarot cards, bone throwing, playing cards, runes, coffee grounds, trance readings, as well as ancestral communication and healing. Hovik also offers his services connecting customers with spirit guides, guardians, animal totems, and ancestors. Everyone has spirits in their lives, but most don’t know that they are there. Let Hovik use his gifts to connect you to yours. Magically, he has worked closely with Elders from a multitude of traditions including Wicca, Faery, Native Shamanism, and British Traditional Witchcraft. They have helped Hovik grow and deepen his ability and knowledge to help others. As a psychic clairvoyant and medium he can use whatever tools necessary to give his clients the most unique and accurate results. He most often uses his unique abilities to give insight into questions relating to love, money, career, and life direction. As a medium he is often used to be the bridge between this world and the next, connecting those present with loved ones on the other side.